Both an art installation and a life science project, Love Motel for Insects is an innovative interactive outdoor educational event created by Brandon Ballengée. Since 2001 Ballengée has been exhibiting his Love Motels worldwide including India, Ireland, and Italy, and now, along with Urban Art Projects, he’s hoping to bring Love Motel for Insects to New York City. 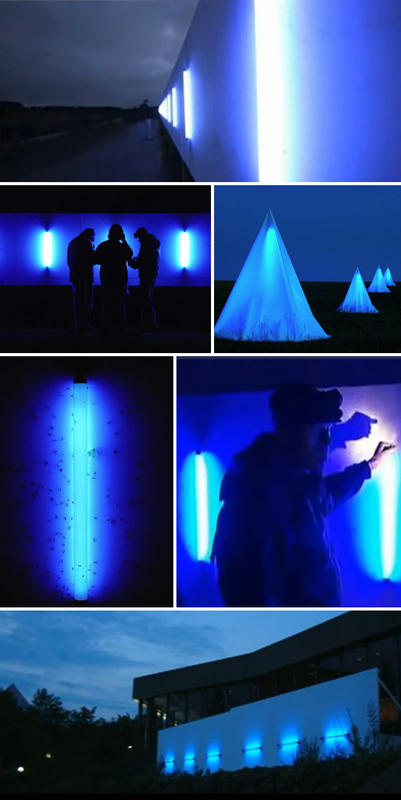 Using ultra-violet lights on large black canvases these installations attract insects and create an opportunity for viewers to interact with rarely seen nocturnal arthropods. This event, combined with ancillary educational programming referred to as Bug Love, hopes to inform the general NYC public about important environmental issues as well as inspiring kids and getting them excited about science, art, and the environment. If this sounds like something you’d like to see or be a part of, head on over to their kickstarter page and watch the video, heck, maybe even make a donation. They have four days to go to reach their goal and are so close to it! This entry was posted in Art, Event, Interaction Design, Just Plain Cool, Street Art. Bookmark the permalink.